Cardiff imprint Riddim Records return with a top new single courtesy of Detached Audio’s K2T and frequent studio partner Option, and we’ve got the exclusive on Narrate’s remix! Taking the emotional guitar licks of the original and channelling them into a post-rock-esque arrangement, this is a deep liquid roller you won’t forget. The release is out today at all good stores. Tokyo Prose is a rare producer in the scene, a man whose creations never fail to put a smile on my face. While Sam Reed certainly wasn’t the first to ply the deep, melodic style of Drum & Bass, he’s certainly developed his own voice over the years and his latest work is amongst his best. Following last year’s Presence LP was always going to be tough given the quality and diversity of that record, but the Dawn Chorus EP feels perfectly pitched in that regard; lesser in scope but finely crafted and showcasing that warmth and emotion that makes his work so special. Whether on the beautiful string section of Dawn Chorus, the effortless downtempo of Vanishing Point or the bright chimes and crisp breaks of Windtalkers, the instrumentation remains beautiful and evocative. 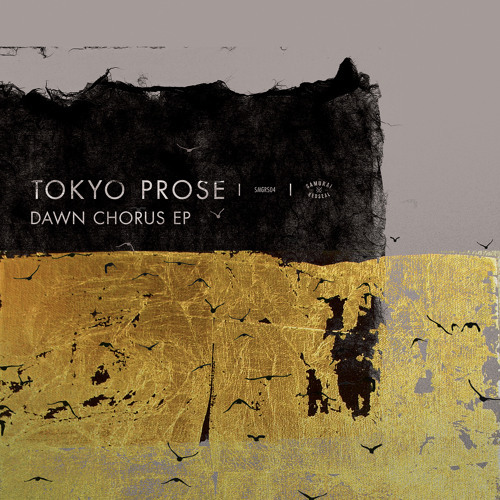 Anyone yet to be persuaded by the gentle depth of the liquid sound may not find anything new to change their mind here, but if you appreciate the more musical side of Drum & Bass then the Dawn Chorus EP provides four tracks you will lose yourself in again and again. Serenity and bliss, softness and speed, feeling and thought, all lovingly packaged at one hundred and seventy beats per minute; it doesn’t get much better than this. Check out the clips below and hit up the Samurai Store to grab a copy on wax before it inevitably sells out.